LPG Dispenser - Global Cynax Bangladesh Ltd. GLOBAL CYNAX offers Japanese LPG dispenser in Bangladesh. We are authorized sole distributor of Tatsuno Corporation almost over a decade. TATSUNO is the largest fuel dispenser and petroleum equipment manufacturer in Japan. Tatsuno Corporation was established in Tokyo at the year of 1911. Gradually TATSUO has continued to expand their business. Beside Japan, It has manufacturing facility in Europe and Asia. LPG is the 3rd most popular automotive fuel in the world, with approximately 16 million cars powered by this. 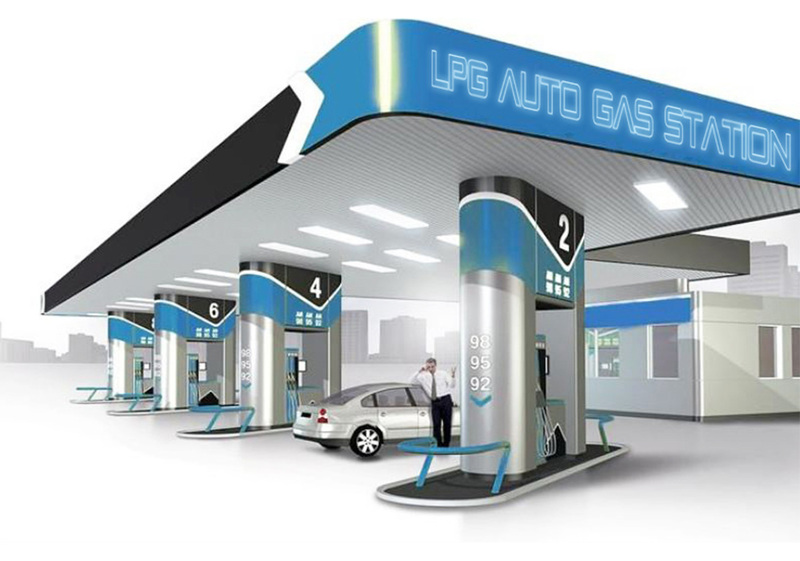 This LPG, Autogas Station would be the most popular alternative fuel in Bangladesh. Global Cynax designs & constructs LPG Fuel Filling Station. 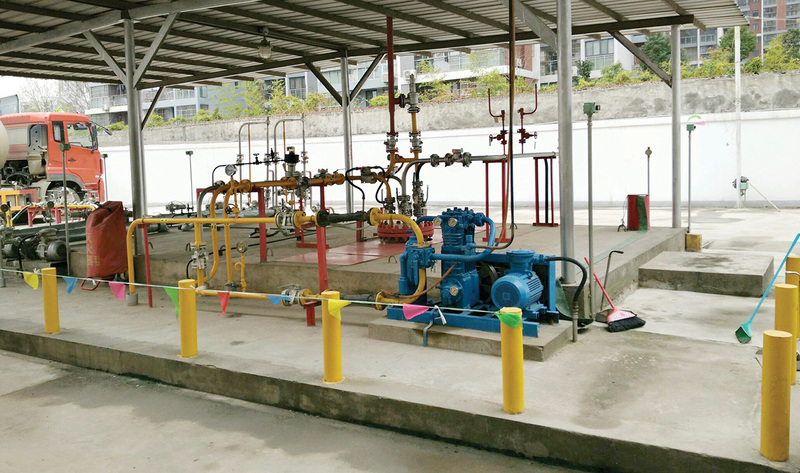 We mainly focus our services and support on the design of the LPG Station’s Pump, Pipelines, Underground LPG Storage Tank, LPG Dispenser, Control Panel etc. From Pre Site Inspection to Commissioning, Global Cynax assigns one experienced engineer to build tailor made LPG Station that fits for client’s need for now and future. * Self Diagnosis : Error status can be shown on the display. * Measurement Industion: Amount – 6 Digit, Volume – 6 Digit, Unit Price – 4 Digit. * Reset: Push Type, Start & Stop Button. * Earthquake Sensor: Filling will be stopped at five intensity. Global Cynax designs & constructs LPG Fuel Filling Station. 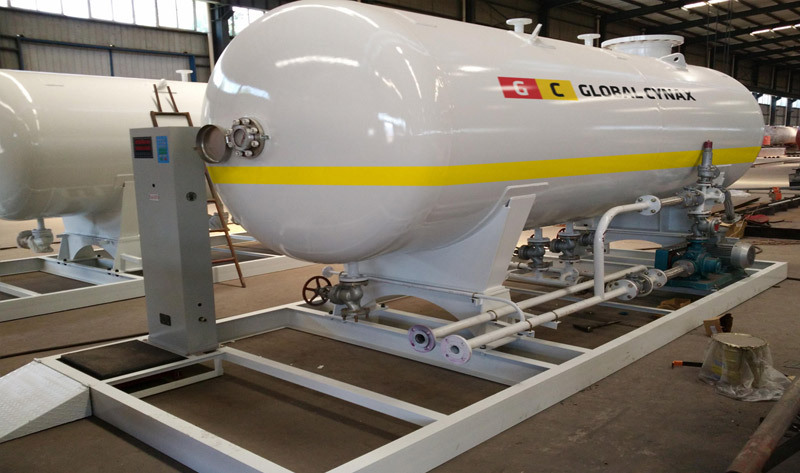 We mainly focus our services and support on the design of the LPG Station’s Pump, Pipelines, Underground LPG Storage Tank, LPG Dispenser, Control Panel etc. From Pre Site Inspection to Commissioning, Global Cynax assigns one experienced engineer to build tailor made LPG Station that fits for client’s need for now and future. Pump with Motor, Pipelines, Valves, Fittings etc. Design & Engineering Planning of LPG Station based on client’s requirement.